Once upon a time ago (before I went on hiatus) Mr. A's parents invited us on an impromptu vacation to Atlanta. Although I spent a significant amount of time in my teenage years in Georgia, I've only been to Atlanta a few times. And even then, I was taking in the city through the eyes of a child. I didn't want to understand the history of the city. I didn't care about museums. I certainly didn't care about the family related activities. Flash forward ten years and Atlanta looks completely different in the eyes of an adult. It's a combination of urban sophistication with a dash of southern living. There are tons of things to do with your family. And don't even get me started on the food. If your taste buds are adventurous, you'll love it. There is something for everyone and then there's more. Farmers markets, Asian markets, Soul Food markets. The list goes on and on. The Spotted Pig was one of my favorite places to eat. 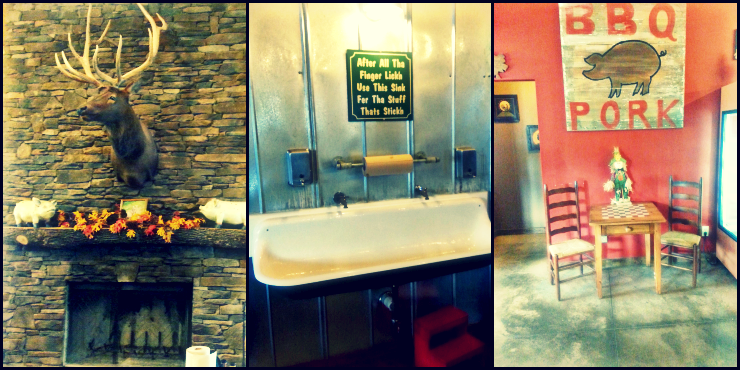 Not only was the food delicious, but the rustic decor made for a comforting atmosphere. I've got to say, it was the first restaurant I've been to that actually has a sink in the middle of the floor. Even Jasmine seemed quite taken with the menu. Then there were the activities. To be honest, by the time we made it into town, we were so tired from the road that the first night was spent in the comfort of our hotel room. Drinking beer and watching college football while Jasmine systematically destroyed the rooms. Once Jasmine was all tucked in for the night, Mr. A and I made our way downstairs for a late night game of pool. We finished off the night sitting outside next to the fire pit, taking in the twinkling lights of the city around us and catching up. The next morning was spent trying to hash out plans for the day. 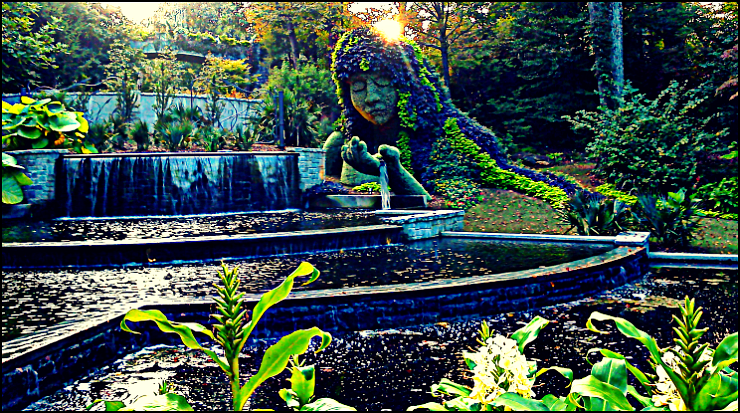 We finally settled on the Atlanta Botanical Garden, which, if you've never been, is 30 acres of of pure undiluted beauty. In other words, it is a MUST SEE. There were dozens of meticulous sculptures carved from bushes. They were so elaborate they took my breath away. The Earth Goddess sculpture at the top of this post was by far my favorite. Just simply amazing. The kind of amazing that makes you wish you were artistic so that you could recreate that sculpture in your own backyard. On the way home the next day, we decided to be adventurous and take the scenic route. Stopping along the way to buy boiled peanuts and brownies from an older couple on the side of the road. Unfortunately, the leaves hadn't quite changed colors, but the view was still magnificent. The rolling mountainside reminded me of just how tiny we are in the grand scheme of things. But, I suppose that's what makes us even more amazing. Have you ever been to Atlanta? Where are your favorite places to hang out? 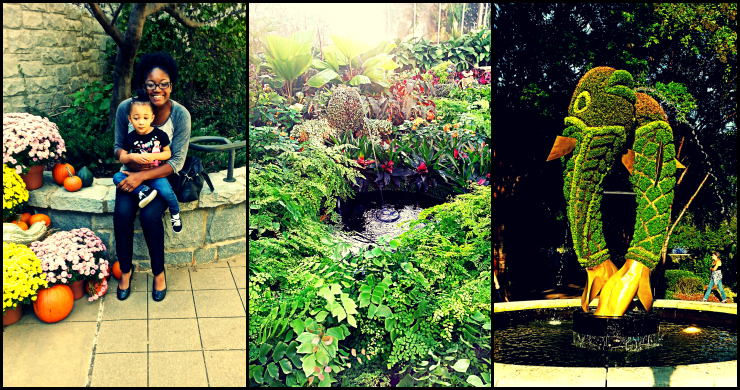 Those botanical gardens look gorgeous!! I don't think I've ever been to or near Atlanta before! It was worth every penny. So gorgeous! I think you would enjoy Atlanta. Such a diverse city with so much to do! I was in Atlanta once for a meeting, but I don't think we left the hotel. Clearly I should have stayed longer and done some exploring! Reese, your pictures are so beautiful! They make me so excited to visit Atlanta with my family in the near future. I've been to Atlanta about two or three times, but each trip was hurried and I didn't get the opportunity to tour the city like I wanted to. Now that I will be able to go with my family in tow soon, there are many things I have on my list to see. 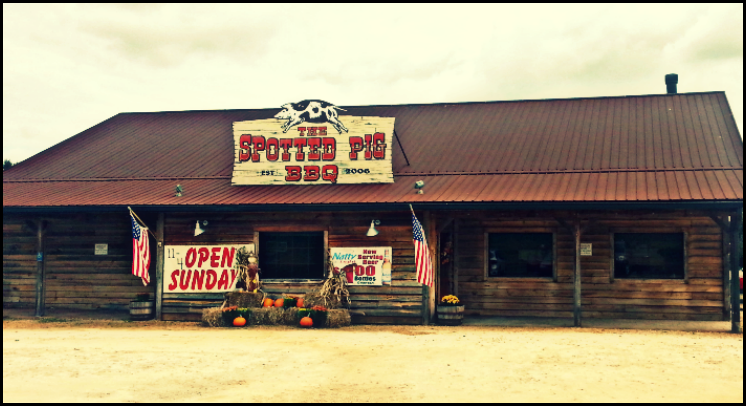 The Spotted Pig definitely looks like a place hubby and I would like to dine at. You won me with the sink in the middle of the floor lol. Thanks for stopping by Miss Dre. 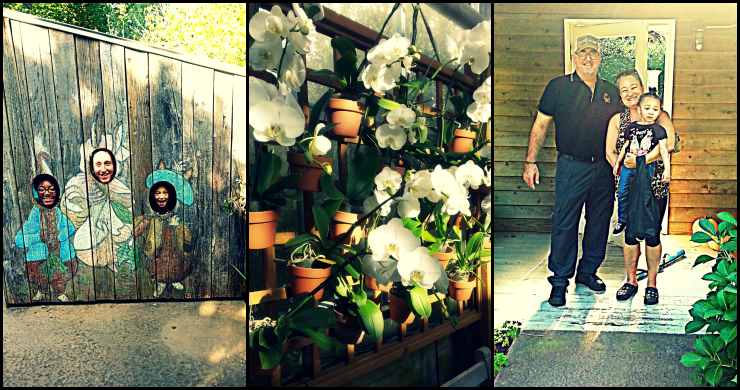 And yes the Botanical Gardens are swoon-worthy. Already planning my return trip. It's crazy, I saw so much as a child, but I was so ungrateful. I'm planning a return trip to Germany as well. Such a gorgeous place, it's a shame I was too young to understand. I suppose that where they got the saying "youth is wasted on the young." Wow that's all I can say. I was born and bred in Atlanta...not a suburb of it, but the heart of the city. Seeing it through someone else's eyes is amazing. I have never been to the Botanical gardens before, but after reading your post, I am committed to going this spring. It's so true that you often take your city for granted, whereas visitors appreciate the beauty within. This year I'm committing to visiting two new locations. Thanks for your review of the ATL. It's great that you're planning on committing to visiting new places! think it's normal for people who grow up in a particular city to not too much care about the "attractions." For instance, I'm originally from Philly. My extended family has lived there their whole lives. Most of them have never seen the Liberty Bell or City Hall. But since I left at such a young age and would often come back to visit, it was always through the eyes of a tourist, so we went and saw all the sights. Be sure to share your travels with me. I would love to see which new places you go to! Hi Reese, I am visiting via your link on the SITS post on facebook. So nice to meet you. Your daughter is adorable. I have always wanted to visit Atlanta.